Edgebee Studios Inc is a company that develops and hosts a number of browser based games that all incorporate strong single and Massive Multiplayer Online aspects into their design. At the time of writing they currently play host to 5 titles including ‘Swords and Potions 2’ and dungeon crawling RPG ‘Sorcery Quest’. Today My Boxed Universe speaks to Gabriel Côté, a representative of Edgebee about their selection of browser based games. Thanks for taking the time out of your busy schedule to speak with us here today. For those who haven’t encountered Edgebee before, can you introduce the company to us and tell us a little about your role there? Edgebee was created in 2007 in Montreal. Our team size has varied from 2 to 8 full time employees. We try to use sub-contractors as much as possible to keep the overhead low (mainly art, sounds and music). We are currently 2 partners (two programmers) plus a full time artist. We’ve made 5 games so far, all browser mmos. Since we’ve always been a small team, my role has always been pretty much whatever needs to be done. Although my main force is programming. Do you personally have a favourite game Edgebee has out at the moment? 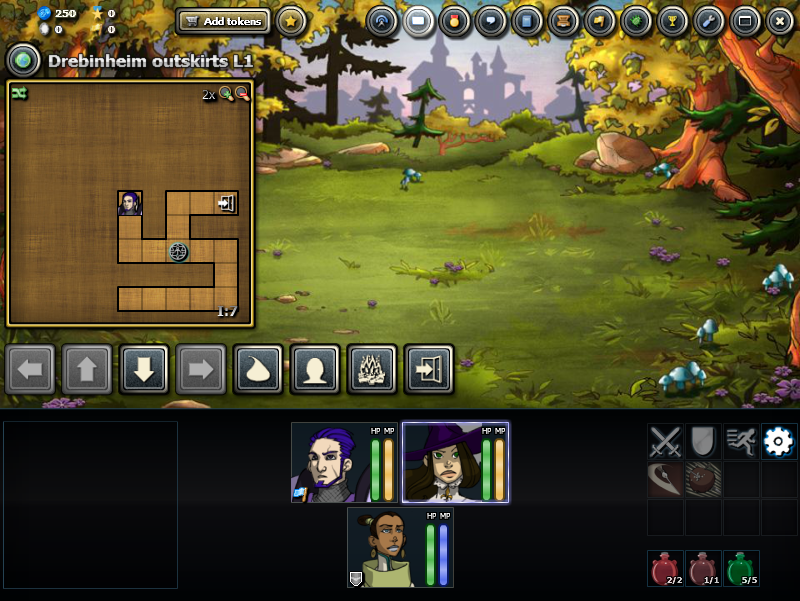 Since Swords & Potions 2 is our main revenue generating game, I still play it from time to time. But I would have to say that my favourite is our card game: Card Monsters. I like the relative simple mechanics and short matches. On average Edgebee has somewhere between 1,500 – 2,000 players online at any given time, logged into their Edgebee account and enjoying the games you have to offer. What’s the highest figure of online players you’ve seen at any one time? When Swords & Potions 2 was at it’s peak on Kongregate, we went up to a bit more than 10,000 concurrent players. We’ve recently made our games accessible within China and expect to beat that number soon. Sorcery Quest is the most ‘traditional’ game in your catalogue, although they all fall under the RPG banner in some way, shape or form. What was the inspiration behind it? We’ve had 2 main influences and they are both reflected in the title: ‘Sorcery’ for Wizardry and ‘Quest’ for Dragon Quest. 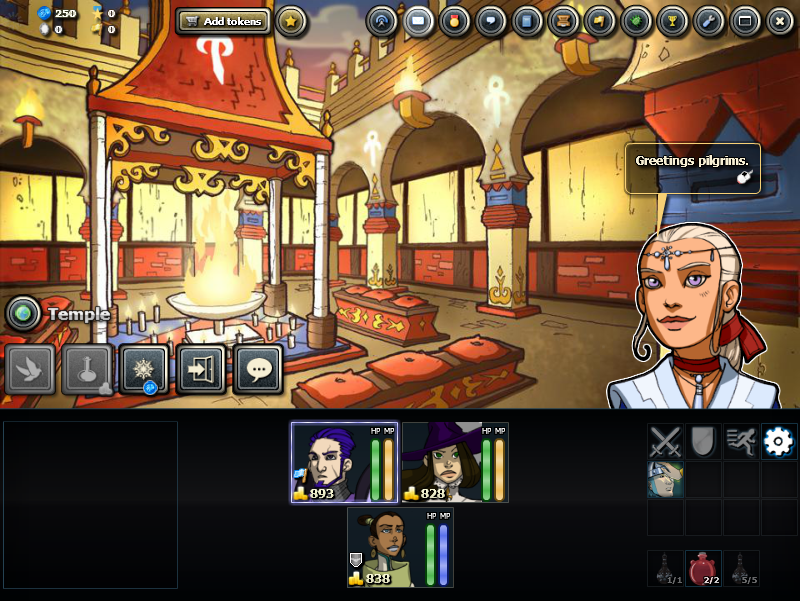 Edgebee games have a particular cartoon look to them that’s western in style but heavily influenced by the Asian scene as well. Who produces the graphics for your games and what is their background. Is it a team effort or the work of an individual? Except for Critter Forge and Swords & Potions 2, all the characters, monsters and backgrounds were made by a single artist we sub-contracted: Guillaume Bonnet. At the time he was working for the game developer Behaviour (where I used to work before starting Edgebee). All the rest (items, skills, icons, …) were made by another subcontractor: Dan Rive, a mexican artist that we discovered via DeviantArt. 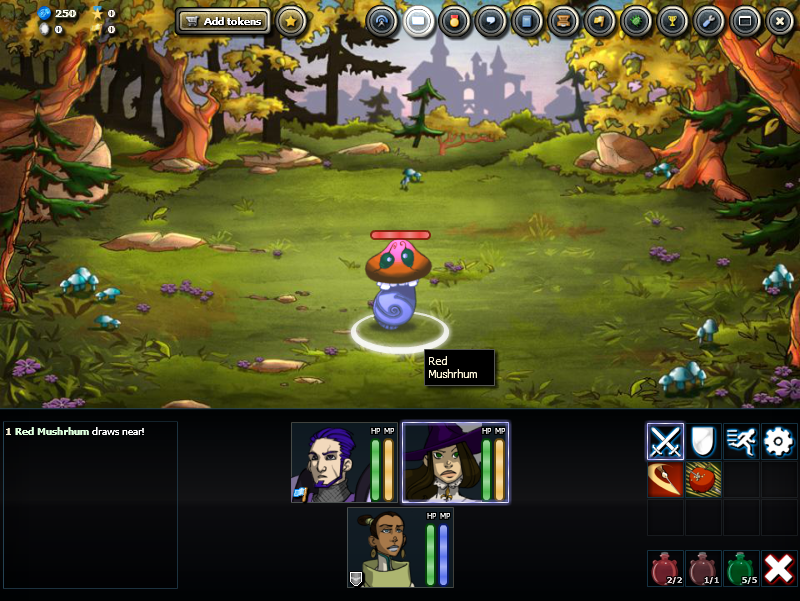 Swords & Potions 2 was the first game we did with an artist as full time employee. We hired a starting artist, Eve Archambault, that Guillaume Bonnet refered us. Your games all run in-browser. Are there plans to enter the mobile market as well? We’ve debated whether or not to port some of our existing games on mobile, but it would be a bit too painful with the current tech, not to mentioned all the UI re-work that would have to go in. But after a lull of almost 2 years, we’ve recently started a new project with a completely new tech (we are mainly programmers after all and flash is clearly not the way of the future). For this new project we are targeting mobile as well as browser. Can we expect to see another game enter your catalogue soon? Well, like I said in my previous answer, we are actually working on a new game. It’s still a bit early to talk about it, but it will be closer to Sorcery Quest than our other games. Roughly how long does it take to produce a title? They each took about a year to do. From Sept 2007, when we started Edgebee, to July 2013, when we released Swords & Potions 2, we’ve released a total of 5 games (not counting expansions). Where can you see Edgebee going in the future? I see Edgebee growing a little, but still staying a small team independent game developer. We will keep supporting our existing games, but we plan to make our new project the center of attention. We have a plan to continually make it grow and thus keep the community engaged. Do you have any advice for would-be Independent game makers? The most important advice I can think of is make sure that everybody on the team gets along very well and share the same vision (long nights and stress will test the team repeatedly). Again, a big thank you for taking the time to talk to us today Gabriel. For those who want to get invested in Edgebee’s catalogue of games they can find them all listed HERE or they could pay a visit to their main official homepage HERE. Remember, you will need a guest or Edgebee account to play.